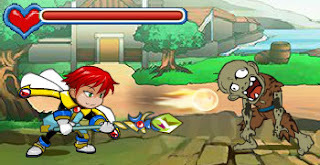 Puzzle Prince is new beautiful combination of puzzle match up gameplay entangled with RPG features all combined with amazing story. 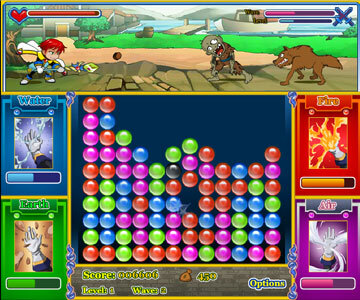 Read more details for Puzzle Prince. Once upon a time, one poor kingdom was targeted and then fully destroyed by the hand of one evil and very powerful wizard! Almost everything alive was doomed to certain death! Everything except the young baby prince, that was saved by transporting through secret escape tunnels. Now the prince is all grown up and he is looking for his parents murderer, so that he can deliver the bitter revenge! Go ahead in your puzzled adventure, matching gems in groups of 3 or more trying to survive in battles fighting against zombies, monsters, witches and other bad creatures! 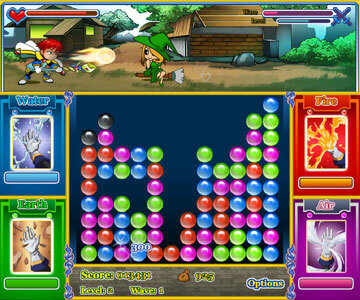 Combine your match up skills with the power of the 4 elemental orbs and try to find and defeat the final boss!